The first note was, nevertheless, about the many prejudices that still exist about this possibility. "Will I get seasick? "; "Which cabin should I book? "; "I'm going to feel bored? ... but speakers Michael Goh, Genting Cruise Vice President, Angie Stephen, Asia Pacific Executive Director at Royal Caribbean, and Steve Bloss, Worldwide Cruise Associates President, quickly undid these myths. On the contrary, they enunciated an extended list of good arguments to justify that your next event happens aboard one of these ships. First of all, the huge advantage of participants being confined to a space, and therefore easier to focus on the event's program. At the same time, security; the simplicity of being in an area with all the requirements to host events; some of the best entertainment in the world, from leisure activities to entertainment programs; its competitive costs, because there are already so many things available on board; and also the possibility of visiting one or more countries during the event. The cruise industry, on the other hand, is making an effort to combat some of its disadvantages, by letting governments know their need to simplify procedures with visas (when necessary); investing in the recycling of residues produced on board; dictating the end of plastic use; and using LPG as fuel. 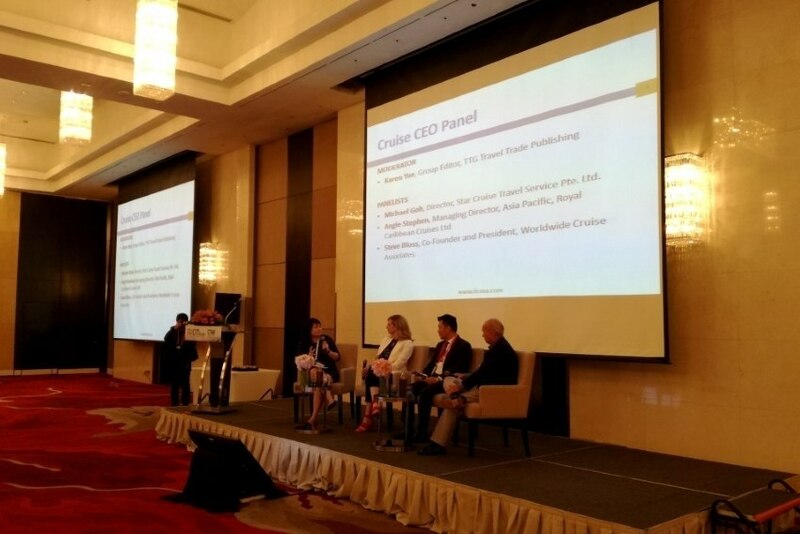 In this debate moderated by Karen Yue, Editor at TTG group (IT & CMA organiser), invited guests also reminded that cruises are for all ages; and you do not need to book the whole ship, being possible to host events with 10 or 5,000 people. It's all a matter of planning in order to ensure that the experience of other passengers is not affected. "Be creative!" was the challenge to organisers. The quality of on-board service can be an interesting story to tell potential participants. In the case of Dream Cruises, for example, this translates into an one employee for every 1.7 customers ratio, the highest in all Asia - and this is not just a number, they say. Finally, and given the characteristics of a ship operation, it is advised to book as far in advance as possible. And be aware of certain details, such as including Internet access in the budget received – it may not be included. This is a market that, also in Asia, is conquering more and more followers. In this region, Thailand, Indonesia and Malaysia are the countries most sought after by the cruise industry and, as we see, events follow them in pursuit. IT & CMA was held in Bangkok from September 18th to 20th, and Event Point travelled invited by the organisation as a media partner.